Last night I led a discussion on the New Age and Eastern Mysticism. It was fascinating to try to get a handle on what is sometimes described as a “meta-network” . . . a network of networks where the religious ingredients may have some commonality, but are essentially optional. I suppose it was a bit like trying to grasp a jellyfish. The real benefit of the discussion, though, was for people in the group to not only be alert to some of the core features of this movement, but also to recognize where they might misunderstand what others say to them. For instance, coming from an evangelical church, it is easy for some to get confused when they meet someone who “believes in Jesus.” That language carries certain meaning in church-world. It carries different meaning in non-church world. As preachers we must be alert to this. We can’t hide in a church ghetto and preach Christian language without clarifying the meaning we are seeking to convey. We will not even know if people in our church are understanding what we intend them to understand. I suppose there are several dangers to be alert to. 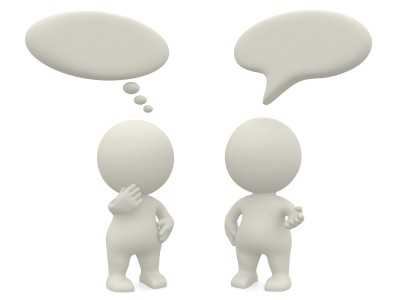 People need to know what others mean in order to interact with them and know where the disconnects may be occurring in the conversation. It is not good people thinking they’re on the same page as someone who means something entirely different by enlightened or saved or delivered or believe or whatever. At the same time people need to know not only what is different with other understandings of reality, but also what is attractive about other understandings of reality. It is easy in a church setting to look down on the silliness of other views, but that is not at all helpful. There is a reason people are drawn into different philosophies and religions. There is a reason why people who’ve grown up in good churches can be drawn into these other religions. To simply mock or ridicule is to fail to engage meaningfully with what others hold dear. At the same time it is to set up people from the church to be picked off when they discover a more compelling presentation of an alternative than they were led to believe is possible.